Home / Articles tagged with "growing old"
Articles for Tag: "growing old"
Feeling bad about getting old could negatively impact your mind and body. Learn more. 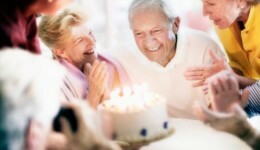 Research finds there’s a difference between a person’s biological age and chronological age.